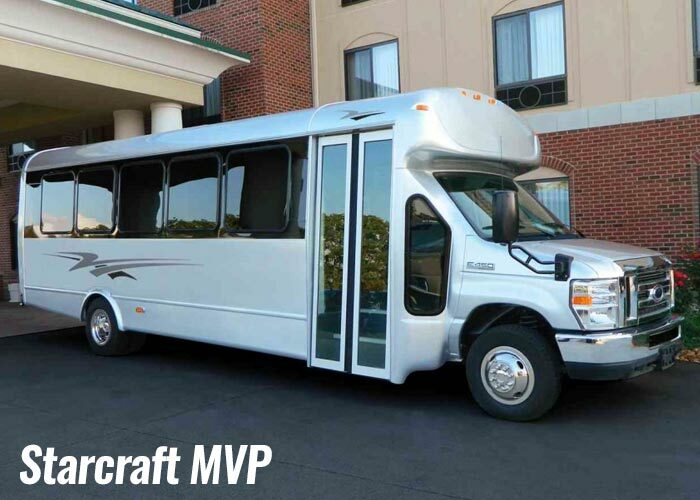 Starcraft Bus raised the bar once again with the release of their most recent model…The Starcraft MVP . With the MVP, Starcraft has been able to achieve the largest capacity possible on the Ford cutaway chassis. The Starcraft MVP can carry up to 30 passengers including the driver on the Ford E-450 gasoline chassis. 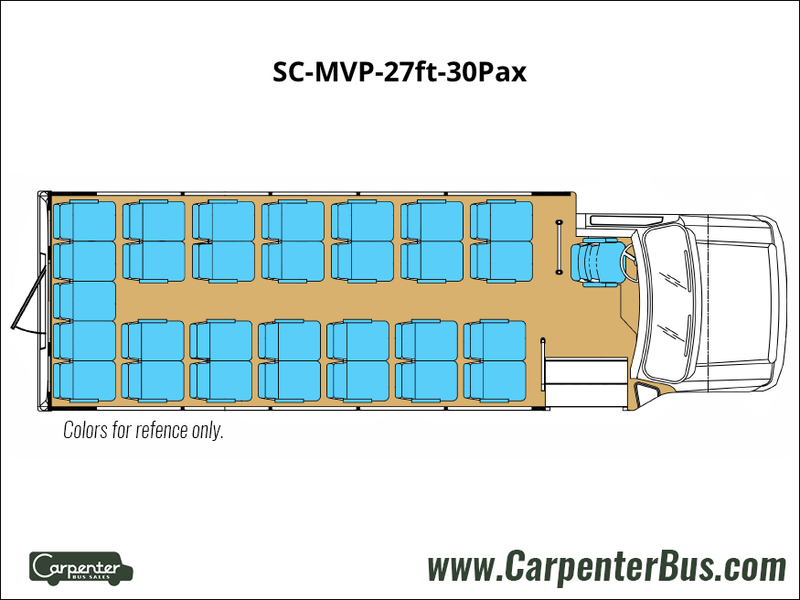 The MVP can accommodate up to 25 passengers with a dedicated rear storage section in the rear of the bus. 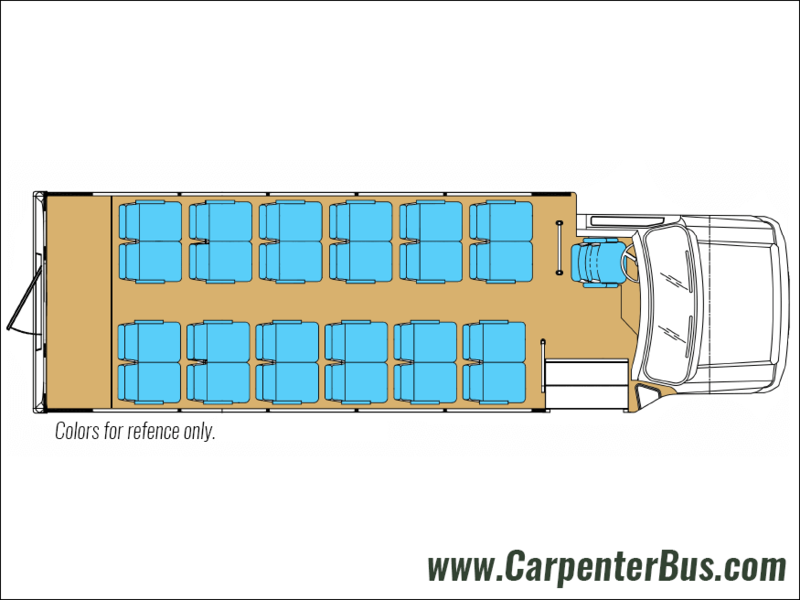 This configuration gives you the features and amenities normally reserved for larger buses. The fully welded steel cage construction that Starcraft is known for is also used on the Starcraft MVP. Just like all other buses from Starcraft, the MVP can be configured to serve a variety of applications. Configured with an ADA compliant wheelchair station, the MVP becomes a highly sought after vehicle within the senior care community. The MVP is the ultimate bang for your buck in the bus industry. If you are in the market to move a larger number of people, then be sure to give the Starcraft MVP a serious look. You’ll see why it is one of the Most Valuable Players in the Starcraft Bus line of buses.